What's on the Energy Star's Blue Label And Why It Matters? The label details the energy efficiency of the product. All of these are established by comparing the efficiency rating of the product to the minimum efficiency requirements set by the federal government. For air conditioning, an ENERGY STAR® AC unit must be 10% more energy-efficient than the standard model. Look for these two details on the label: the product’s estimated yearly operating cost and its estimated yearly electrical use. The former gives you a general estimate on how much it costs to run the unit. The latter shows how much power it will take to consume on average within a year. ENERGY STAR®’s blue label is helpful when you’re looking for a new HVAC system. An HVAC system with the blue label is 45% more energy-efficient than conventional systems, and this means it performs beyond the standard efficiency. 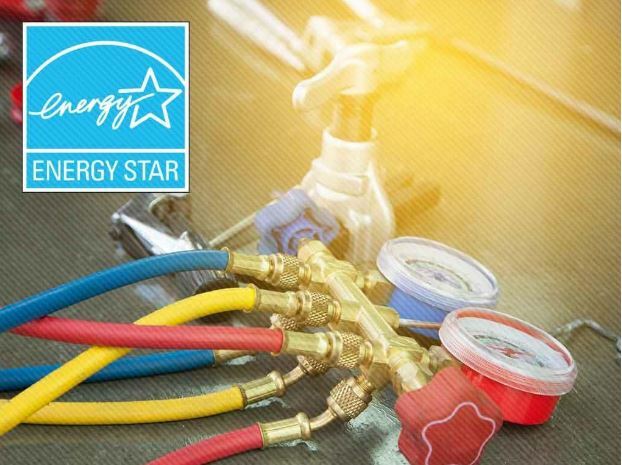 Since ENERGY STAR® HVAC units are as energy-efficient as possible, they also don’t encounter frequent problems that plague standard units, which means HVAC repair and general maintenance is infrequent. This, in turn, will maximize the unit’s overall operational lifespan. The most important benefit you can get from buying an ENERGY STAR® rated HVAC system is more savings on your utility bills. ENERGY STAR® systems are designed to meet and adapt to your local area’s climate, which means your units will effectively keep you cool and warm. At Bounds Heating & Air, we’re the company to trust for air conditioning repair and HVAC maintenance. Our team of skilled technicians will also help you find the best ENERGY STAR® rated HVAC system for optimum energy efficiency. Call us today at (352) 472-2761 to learn more about our services. We are air conditioning repair experts serving homeowners throughout Alachua, FL and other parts of Florida.